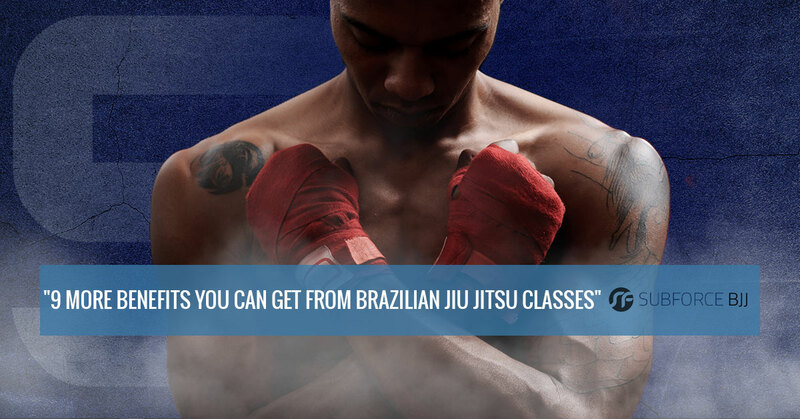 In our previous blog we touched on some of the most common benefits you can get from martial arts classes in general and Brazilian Jiu Jitsu classes in particular. Sure, it gets you a stronger body and increases your endurance, but it also makes you more limber while improving your perception of how your body moves through a particular space (proprioception). Of course, BJJ classes also have the seemingly opposite effects of making you more confident and more humble at the same time, but once you get started with classes you’ll know how it works! Those many benefits should be reason enough to check out our classes, but if you need more we’ve come up with quite a few more reasons why you might be interested in checking out our martial arts school. Before we get into the many ways that martial arts classes can help you mentally and socially, we thought we’d take one last look at how BJJ training can affect your physically. As we mentioned, it can make your muscles stronger and make you more limber than ever before, two aspects that can give you the advantage in a tournament or real world altercation. But you’ll also be working out as you learn a martial art (especially if you’re a part of our Hybrid Fitness program). Not only will you be burning calories while you’re here, but your continued efforts to get better could also cause you to eat more healthy even when you’re not at our BJJ classes. You’ll quickly learn that paying attention in a martial arts class is just as important as paying attention in any sit-down class you might have in school. Every lesson builds on the previous one, and when someone sends you to the mat because they know something you don’t (because they were paying attention and you weren’t), you’ll soon discover why you should be as focused as possible in every class. If you miss something in class, don’t be ashamed to ask. New practitioners of a martial art often aren’t as focused, so we’re happy to help you along until your attention span is more focused. We’ve mentioned before about how Brazilian Jiu Jitsu is one of the most mental of all martial arts. In fact, sometimes we equate it to chess, and we’re not being facetious…it truly is a mental game mixed with a physical one. Chess is about having a plan of attack, but every chess player must change that plan to accommodate what the other player is doing. This means either forcing your opponent back into your plan or changing plans completely. You’re probably familiar with a chess clock, which is a two-sided clock that gives each chess player a particular amount of time to make moves during a chess match. Each person might have 30 minutes of total decision-making time. But when it comes to a BJJ match, you not only have to make good decisions…you have to make them almost immediately! Over time you’ll learn what works, what doesn’t, and what you should do next time in order to make the match end in the way you want it to. There are literally hundreds of types of submissions: shoulder locks, chokes, cranks, wrist locks, arm bars, knee bars, ankle locks. We’re not saying that you have to learn every single one of them — there are variations that we haven’t memorized because their usefulness is minimal — but you will be taught the basics of each and we will expect them to leap into your memory at a moment’s notice, as we mentioned above when we were discussing decision making skills. Once you have the basics, you’ll be able to increase your options as you memorize more submissions and the ways to move your opponent into them. The bigger your toolbox, the more options you’ll have when you need them. This is especially true as you get into tournaments and are faced with new opponents from different martial arts schools. Brazilian Jiu Jitsu has a long and storied history, moving around the globe before landing in America. During all that time, people have discovered the hundreds of submissions we mentioned above, but that doesn’t mean that every one has been found yet! You might be the person who discovers the next great submission variant that everyone is using next year…until someone comes up with the perfect defense! The outside world can be chaotic, but there is order in a martial arts class. It’s a great way to balance the mind and body, in part thanks to the many benefits we’ve already mentioned in this article. Some people equate it to the benefits one can get from meditation. We can almost guarantee that you’ll leave feeling better than when you came in. How does a person get better? Practice. So anyone who wants to get better in our martial arts classes is going to have to practice. As they practice, they get better, which makes them want to practice more, and so on. This is a great “upward spiral” that improves work ethic and makes the student better over time. Kids martial arts classes are a great way for the next generation to increase their work ethic and to learn how to act responsibly. But adult martial arts can also help those who are a bit older improve on their work ethic. Some people just aren’t naturally competitive. It can be learned, but it’s more likely that simply being in a competitive environment brings it out of people. This is especially true if you’re on track to compete in BJJ competitions. We’ve discussed many of the ways that BJJ training can help you physically and mentally, and even touched on how it can help you spiritually. 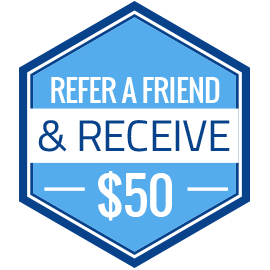 But another important aspect of a martial arts class is that you’ll be able to make new friends. After all, you already know you have the common interest of martial arts. Plus, you’re going to be sparring with each other quite a bit, so you can already get past that awkward “should we punch each other in the arm or not” aspect of friendship. Classes are a great way to make new friends and share any new knowledge or moves that you’ve discovered since the previous class. Over the previous two blogs, we’ve detailed 16 reasons that martial arts classes can help you improve yourself. If you’re ready make the most of your mind, body, and more, we’re ready to help you get where you want to be. Check out our martial arts class schedules today!